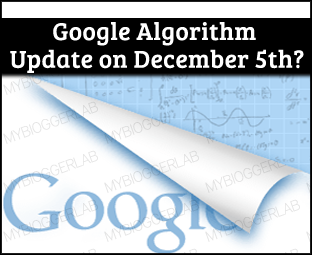 Google Algorithm Update on December 5, 2012? Does anyone is witnessing a significant decrease in their Traffic? If yes then, the brutal Google update would soon blow up the brains of the bloggers. 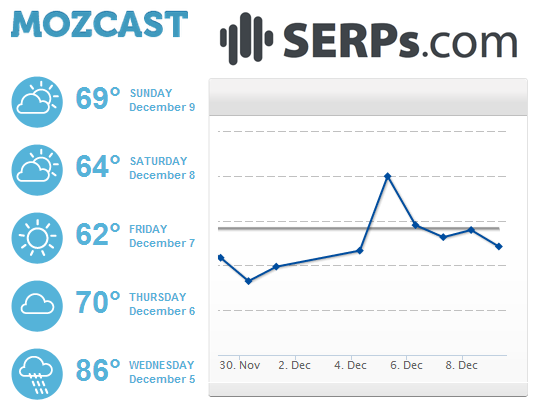 On 5th December 2012, both Mozcast and SERPS.com reported a momentous rise and fall in the Google Traffic. On the other hand, there we no evidence of this fluctuation until we noticed a significant decrease in our traffic. It’s quite clear that Google is going fishy once again because this is not the first time, when we have heard rumors about the Google Algorithm update. If anyone is thinking that his traffic is down due to manual penalization, then he should think again because Google Algorithm update is soon to be update. In this article, we will learn more about the Unknown Google Update. Mozcast and SERPS.com are the two giants that reports about the daily search engine traffic influence. On 5th December, both of them have provided a similar sort of statistics. Consider the following screenshot in which we can clearly see that the Google Organic traffic is continually falling since 5 December. On 5th December, while checking daily traffic statistics we came across a taunting truth that our organic traffic is decreasing, and it kept on falling till 10th December (Today). Firstly, we thought this is due to the changes that we have done in our Theme interface, but soon we realize this is due to the upcoming Google Algorithm update. Still there is no proper evidence, but the facts and statistics are telling that there was a Google Update. In the following Screenshot, we can clearly see a sudden lapse in organic traffic. Again -27% less traffic today. This is the lowest traffic SERP statistics that we have seen ever. Though, this summer was not decent, but this is the mother of all the messes. We are sure those sites which have less or no content i.e. Amazon Affiliate and other low quality Affiliate sites, would suffer badly. Did anyone notice an update last week? Give your thoughts about this major fluctuation. According to me, we should not worry about these useless Algorithm updates because if a person is writing quality content than no matter what happen all the SERP Ranking would be returned gradually. It takes time but provided marvelous results. On the other hand, Alhamdulillah our traffic is back to normal. What are your thoughts? Have a sweet and chilling winter till then, Peace, Blessings and Happy Googling. I experienced the same with my blog for similar time period. I strongly believe that there was some minor update like a refresh or so. A little more increase my traffic thanks for sharing this update. It happened to my site. I never knew that was the reason! it happened with me too O.o i thought its just a traffic drop / up . Start Tumblr Blog Like Professionals . yep. I noticed a little change in trffic also. May this algorithm be a traffic generator one for those who work hard! I noticed big drop in rankings for some keywords where others are unaffected.